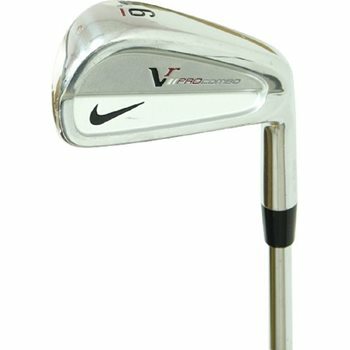 The Nike VR Pro Combo Cavity Back irons feature the all new X3X high-frequency groove system, which produces the most exacting Nike iron ever. It provides more grooves, which are deeper and closer together, resulting in more water and debris being channeled away from the face for optimal control. The long irons feature a Pocket Cavity for more forgiveness on long shots, the rest of the set (6-PW) feature a Split Cavity for shot-shaping ability and control, resulting in unsurpassed feel and control in your short game.